“Lies, damned lies, and statistics” is a phrase made popular by Mark Twain as a comment on the power of numbers when used in supporting an argument. Well, as someone who has a lifelong fascination with numbers both in my ‘day job’ as an engineer and in my passion of motorcycle racing I am afraid that is what you are going to get lots of if you read this blog! I will be looking at some of the records and milestones achieved in the grand prix season and will examine the stories behind the numbers. – There were nine different winners in the MotoGP class in 2016 (Lorenzo, Marquez, Rossi, Miller, Iannone, Crutchlow, Viñales, Pedrosa, Dovizioso) a new record for most different winners in a single season in the premier-class of grand prix racing. The previous record was eight different winners in a season in 2000: Kenny Roberts Jnr, Garry McCoy, Valentino Rossi, Max Biaggi, Alex Barros, Alex Criville, Loris Capirossi and Norick Abe. For me this unpredictability greatly increases the drama and excitement of a grand prix weekend. The anticipation of each grand prix is tremendous when at the start of the weekend there are maybe four or five riders with a strong chance of taking the race win and a handful of others who can be a threat if the circumstances fall their way. Much better than when racing is dominated by a single rider who can put on a show of close racing before clearing off on the final five laps. Many reasons have been given as to why there have been so many different winners this year, one of the most popular being that it was due to the inclement weather suffered at a number of the races. However, it must be stressed that seven of the riders who won this year did so in dry weather conditions (the only riders who won wet races only were Miller and Dovizioso). There is little doubt that the change to the new electronic regulations has had an equalizing effect and the change to Michelin tyres has introduced an additional variable. The overall result of these changes to the technical regulations has been that there have been more bikes on the grid capable of winning races than ever before in the MotoGP era, and for the first time since 1994 four different manufacturers won dry weather premier-class races (in 1994 it was Yamaha, Honda, Suzuki and Cagiva). 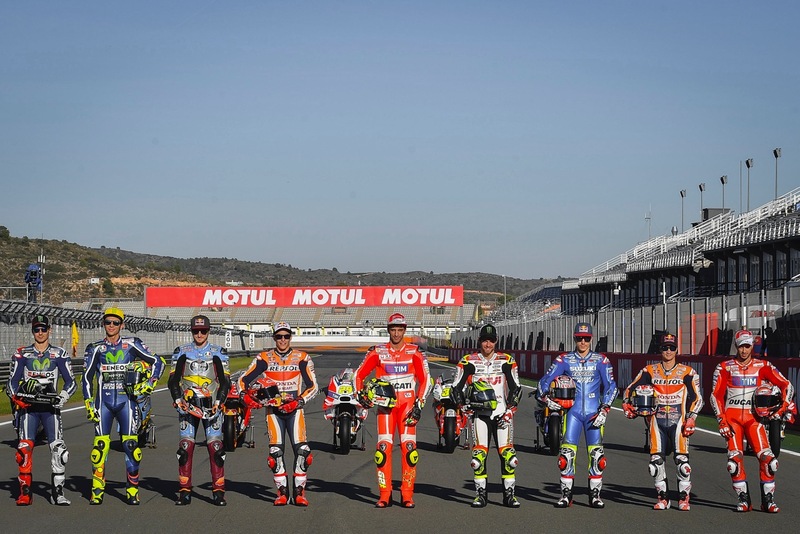 Also the level of riders on the grid is at an all-time high, with eighteen of the full-time riders lining up on the grid for MotoGP this year having won World Championship motorcycle races. The big question now is – can this trend of multiple winners continue in 2017? Well, I don’t see why not. All six full-factory riders in the Yamaha, Honda and Ducati teams are certainly capable of winning in 2017, along with Andrea Iannone on the improving Suzuki. And I do not expect Cal Crutchlow to be happy with podium positions now that he has been on the top step. I for one will be hoping the unpredictability continues and we have more drama-filled weekends to look forward to next year. I cant see nine winners again this year. The ECU and the tyres have been sorted out much better now. The riders heads have come to grips with all the changes as well. Those on new machines excepted. Weather will throw some curve balls into the mix no doubt, as always. But the cream will always rise to the top, as always. It will be a great season. Looking forward to more of your educated insights. Big fan of you, Doctor Raines, greetins from rainy Rio, braaaaaap!